THE highchair of Abigail Skaines' childhood didn't come from Ikea and wasn't make of plastic or wood. Ever since she was old enough to sit up straight, the saddle has been where she feels most comfortable. 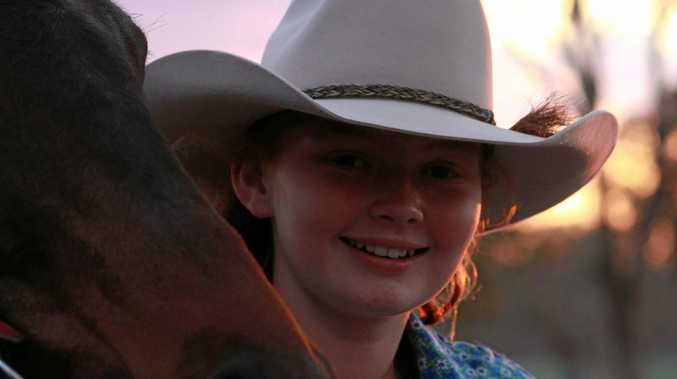 A natural on horseback, Abigail spends most afternoons riding around North Toolburra, helping her family on a cattle property about 20 minutes from Warwick. 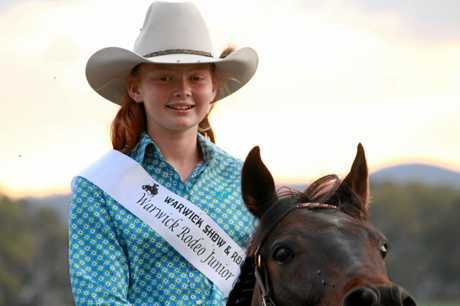 But the decision to enter herself in the Warwick Rodeo Junior Cowgirl competition is a step outside her comfort zone. "This has been a bit of a dream, I've always wanted to do it but I am nervous," Abigail said. On Saturday morning, the 13-year-old and her beautiful gelding Joker will be the centre of attention when the pair strut their stuff on judging day. "I am looking forward to the experience for Joker and me," she said. "It is a chance to ride out there, being somewhere other than home." But the competition goes beyond what happens on horseback. Abigail said the public speaking aspect of the competition would be a challenge, but her mother Suzanne reckons she's up to the job. "It's a little bit exciting I suppose," Mrs Skaines said. "It's been a big learning curve for her, to get out there and do public speaking and be out in front of everyone." In the first of her teenage years, entering in the quest has been something of a coming-of-age ritual for the young rider. But when it comes to the outfit, she's still in her mother's hands. "Yeah, I have kind of left that one up to mum," Abigail said. The winners of the Rodeo Queen Quest will be announced on Saturday evening from 6pm at the Douglas Feez Pavilion at the Warwick Showgrounds.